On this National Day, let?s show our true patriotic colors with these colorful balloons. 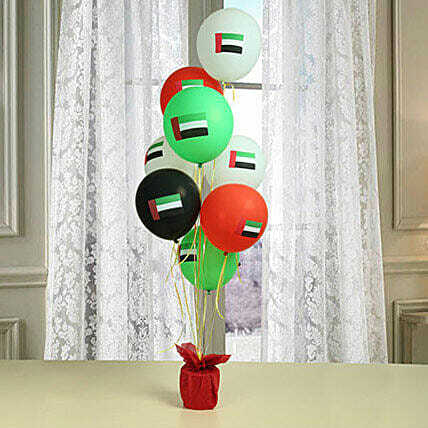 All colors of our National Flag are included in this balloon and therefore, it is a perfect gift for your loved ones in UAE. Balloons would soar high and show the world how patriotic we are. If you live with pets, store your balloons in a room that they cannot access. Keep them away from heat and sunlight. If you are planning back-to-back events and want your balloons to last, you can cover them with clear, large plastic bags.